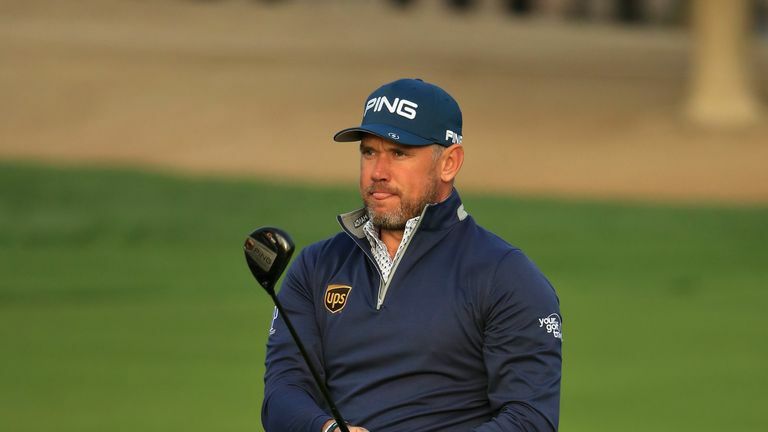 Lee Westwood believes a new outlook on golf is benefiting him out on the course after making an encouraging start to the Omega Dubai Desert Classic. Westwood mixed seven birdies with two bogeys in the opening round to post a five-under 67 at Emirates Golf Club, keeping him within a shot of the early leaders. The Englishman returned to the winner's circle at the Nedbank Golf Challenge in November and has posted top-20 finishes in his two starts since, with Westwood taking a more care-free approach to his play. "Don't get me wrong, I'm still trying my hardest, but I don't care where the ball goes," Westwood told Sky Sports. "I don't care what I shoot. "The consequences of the way I play don't bother me anymore. I'm purely about what I'm working on and going out there and trying to do that over every shot. "I'm working with a new psychologist and just gradually getting into that you can't control where the ball goes, only what you're doing with your swing." The 45-year-old split with his long-time caddie Billy Foster last autumn and now has girlfriend Helen Storey on the bag, with Westwood citing the switch as another factor to his new positive attitude. "When you break it all down and look at the facts, where we're playing, what we're playing for, golf courses we're playing on, weather we're playing in, there's no reason really not to be happy," Westwood added. "Obviously I've got Helen [Storey], my girlfriend, on the golf bag, and she makes a big difference to my attitude out there. She doesn't know that much about golf. "She knows a fair few little bits, but she knows a lot about me and what to say and to keep it light-hearted and things like that, and it's really entertaining out there." Watch the Omega Dubai Desert Classic throughout the week live on Sky Sports. Live coverage continues on Friday from 7.30am on Sky Sports Golf.